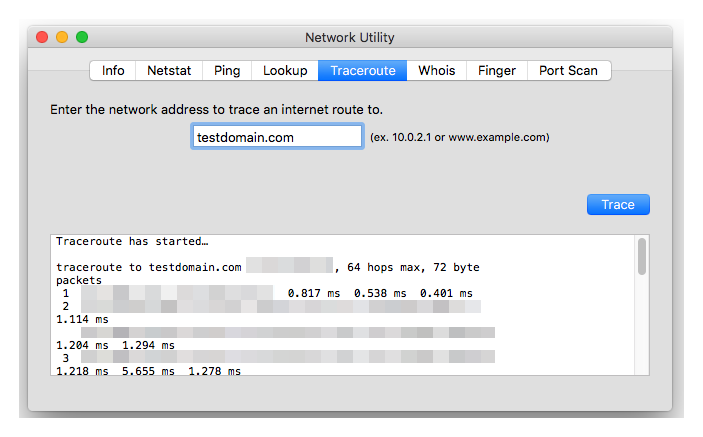 Checking the transit data of your website can be done via traceroute. Be guided by the instructions from this article on how to do so. Step 2. In the text field, type “cmd” and click on OK button. Step 3. 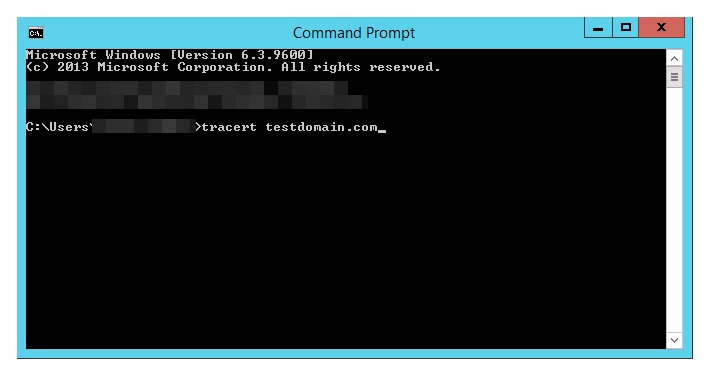 In the command prompt input, type “tracert yourdomain.com” (note: replace yourdomain.com with your actual domain name.) The example below is for testdomain.com. Press Enter key of your keyboard. Step 4. Copy the result and send it to us for assessment. Step 2. 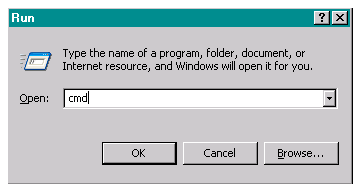 Click on Command Prompt. Step 3. 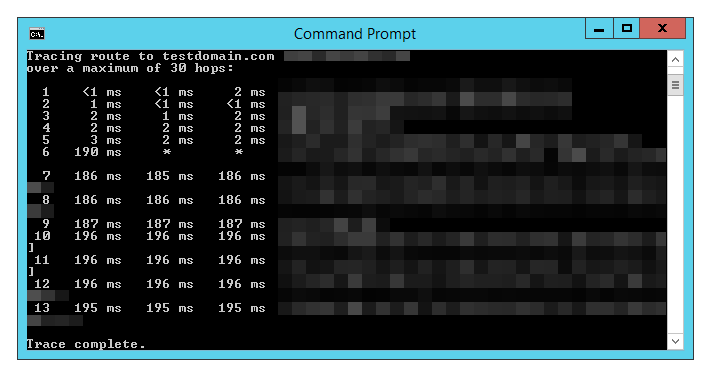 In the Command Prompt window type in “tracert yourdomain.com” (note: replace yourdomain.com with your actual domain name.) The example below is for testdomain.com. Press Enter key of your keyboard. Step 4. Wait for the results. Step 1. 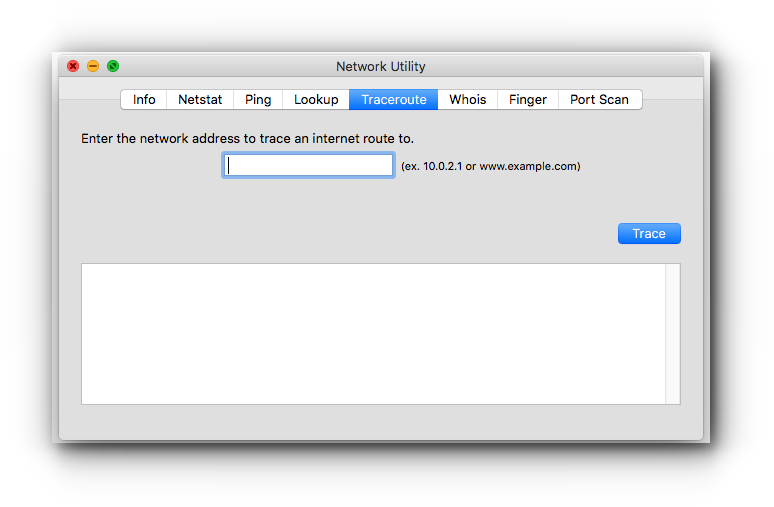 Open Network Utility and click on Traceroute tab. Step 2. 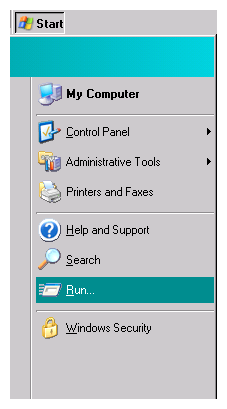 Enter the domain name in the field provided and click on Trace button. You will see the result at the bottom of the screen. How to clear browser’s cache and cookies? How to update cPanel contact information? How to change cPanel language?